Like many disabilities, there is somewhat of a spectrum when it comes to Down syndrome. Not everyone is affected to the same degree. Some people with Down syndrome can lead fairly normal lives and they can become independent. They can study, drive, work, and even get married. Again, it depends on the degree of their disability and how it affects their daily life. Since Down syndrome affects the body on a chromosomal level, it’s not something that can be cured. Nevertheless, there are so many amazing tools available to make life as easy as possible. 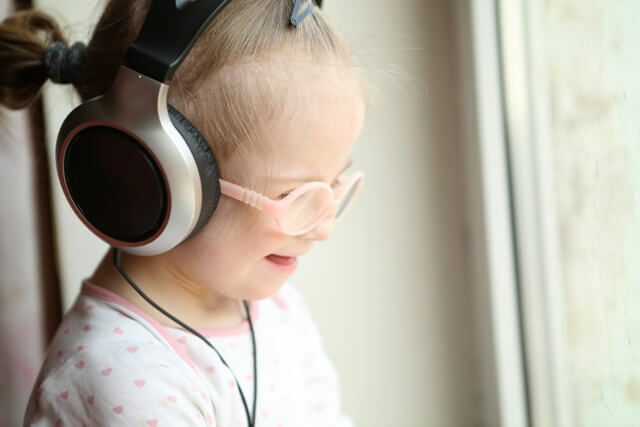 Not only do these tools help the person with Down syndrome, but they can also provide families with reassurance and relief. This tool is available for mobile and desktop devices. Its main features include customizable themes, word prediction, the rephrasing of sentences, grammar checks, and even a translator. It’s a great tool for helping those with Down syndrome improve their writing skills. The keyboard, unlike regular keyboards, is available in various colours. This means that you can even choose the one you like the most. Great for those with Down syndrome and, in particular, students. It helps the user read text aloud and also write text aloud. It also has several other features including word prediction. The user can begin a sentence and the software will make various suggestions. It’s easy to use and effective at developing reading and writing skills. Smartphones of today are fairly complex devices. If you think back to the first time you ever used one, you will know what an adjustment it can be. For those with Down syndrome, the challenge is even greater. Which is why this simplified version is such an excellent choice. It does not have all of the complicated features of your regular smartphone and it automatically updates the software without the need for user input. There is also a family app which allows selected family members to have access to certain user information. This tool is designed to help children with Down syndrome develop their speech in a way that is easy for them to understand. The use of visual aids is effective in many areas of learning, including those with Down syndrome. This tool is great for improving writing on a computer or laptop. The user can rest their hands on the keyboard. They can even drag their hand across the keyboard without accidentally pressing various keys. In other words, it’s not nearly as sensitive which makes it easier to type accurately. It’s perfect for students and workers with Down syndrome. Ideal for students as well as those working in an office environment, the Echo Smartpen allow the user to record everything they hear, say, or write. Students can effectively record lectures and office workers can record what is said during meetings. The user can replay what was recorded by tapping on the notes or anywhere on their notebook. This pen can also transfer notes and audio to desktops and laptops through a USB connection. This tool allows the user to hear what the speaker is saying without any interfering noises. Outside noises can prove to be particularly distracting which is why this tool is so effective. The user can hear clearly and, therefore, focus on the information that they are receiving. This tool is designed for children with disabilities. It encourages learning through fun activities such as Maze Fun, Triangle Peg Solitaire, and Tic Tac Toe. It’s great for learning the alphabet using fun tools rather than the usual charts and books. This tool is designed to help those with Down syndrome remember important things like birthdays, anniversaries, deadlines, meetings, and anything you wouldn’t want to miss. For those with Down syndrome, it’s common to forget even the most important events. Which is why this tool is deemed helpful; because it can be used for either personal and professional reminders. An effective tool used to aid with reading. Some of the features include its ability to read virtually (including printed text, emails, memos, receipts, and more). Users are able to analyze the document while the tool reads it back to them. The high-quality text-to-speech makes this assistive tool an asset to students and office workers alike. These are just some of the best tools for children and adults with Down syndrome. They can help make various areas of life that much easier. While there are some free tools available, there are also those that require a financial investment. The good news is that, in Canada, disability tax credits can help make these additional bills that much more manageable. 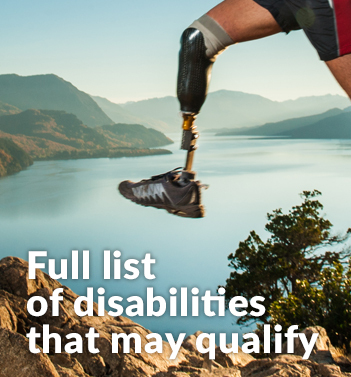 At Tax Benefits Canada, we specialize in assisting with all of your disability tax credit needs. From answering questions to helping facilitate the process, let our knowledge and experience work for you.